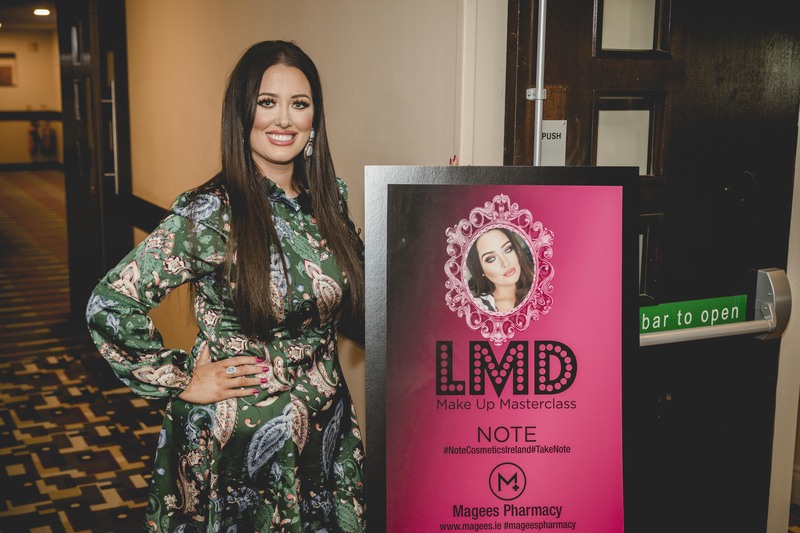 I’m very excited to be bringing you this blog post all about the LMD masterclass with Note Cosmetics that Magees held in Gallaghers hotel last week. The night was a resounding success from start to finish and everyone thoroughly enjoyed themselves which is the main thing! 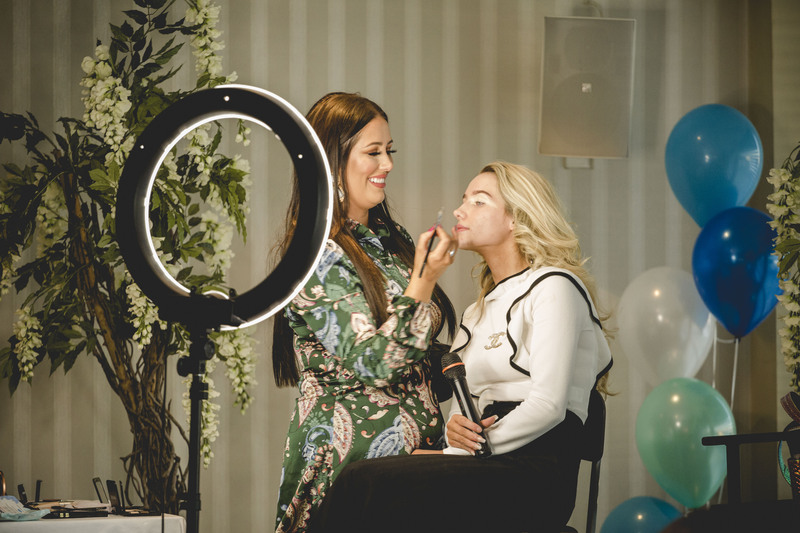 I’m sure that many of you know already, but LMD (otherwise known as Louise Mc Donnell) is a make-up artist and influencer with a staggering 91k followers on Instagram so the girl is definitely doing something right! 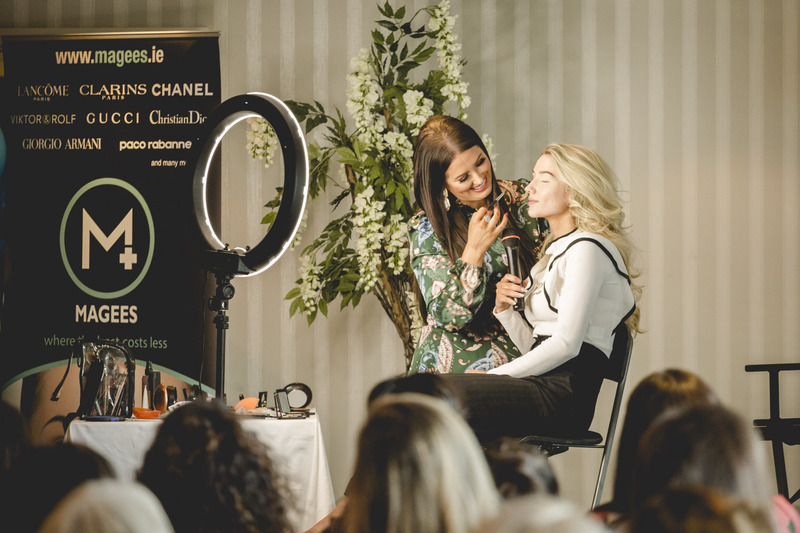  Tickets for the masterclass sold within minutes and Louise created a beautiful look on her sister / model Victoria. There was also goodie bags for everyone in the audience and that was a total of 200 to be exact! 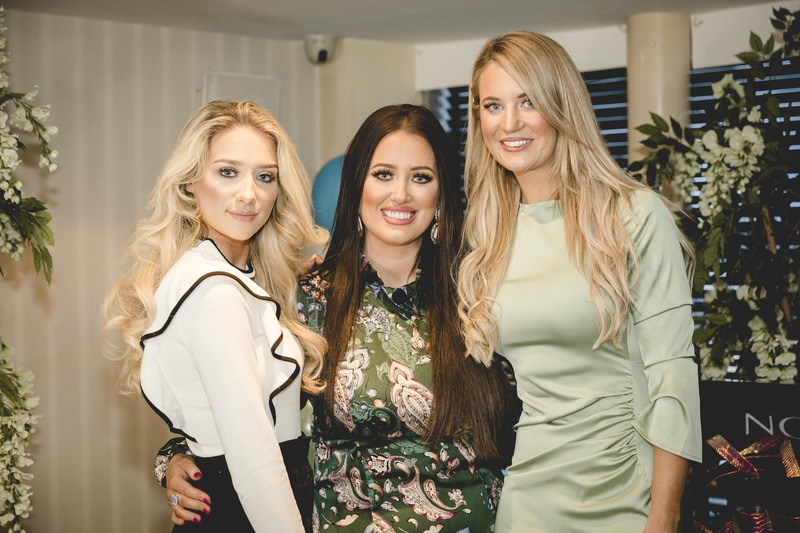 The beautiful Aoibheann from G&G salon was the MC on the night (one of the toughest jobs to do in my opinion) & she worked the room fantabulously. 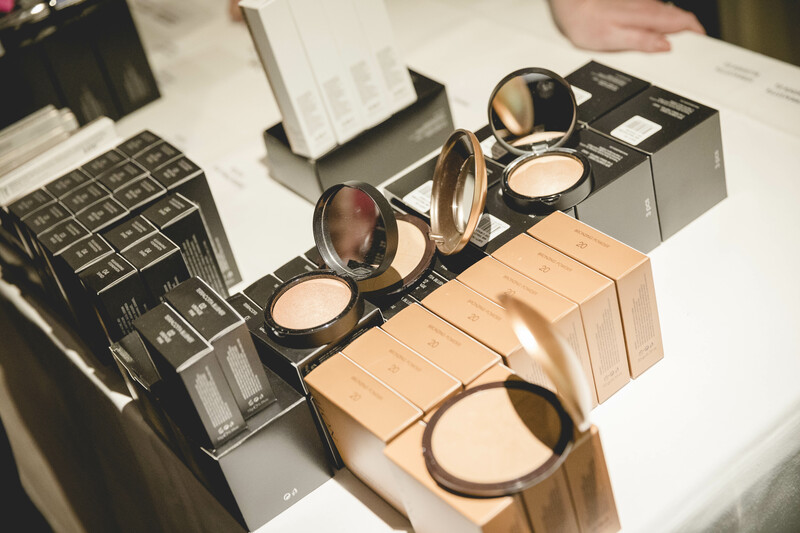 After Louise had recommended a few products it was only a matter of time before the Note Cosmetics pop up shop was flooded with people looking to get their hands on the holy grails! 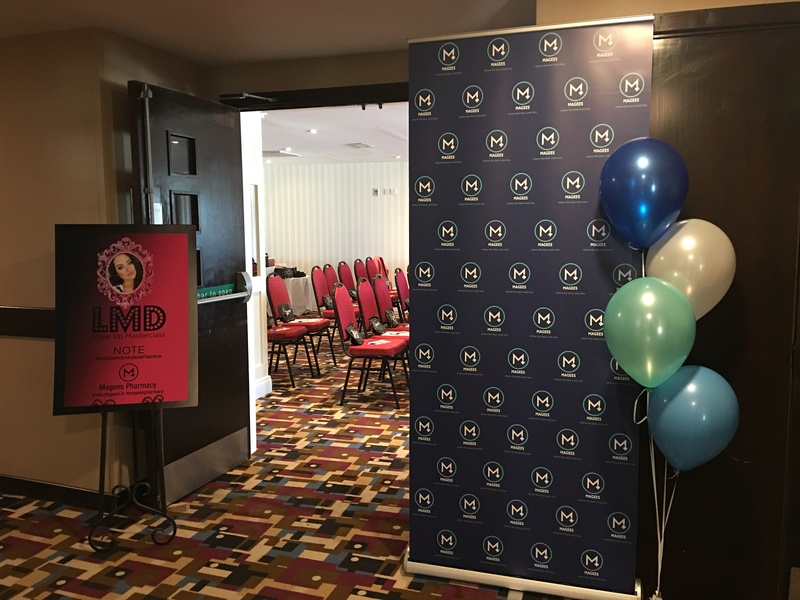 All in all it was a fantastic event and I really enjoyed covering the social media on the night. Below you will see a few more highlights from the night captured by Declan Devlin photography. Mother’s Day is just around the corner and as always, Magees have something to cover everyone! If you are unsure of what to buy, these bundle sets should make life a little easier and there is a great mix from tan to skincare to hair products – I might even purchase one or two myself! The SoSu products are the hottest on the market at the minute and included in this bundle is the lip kit, Dripping Gold tan and also a tanning mitt. I have tried the tan myself and have to say that it is brilliant – definitely one of the best I’ve used. The colour and fade off is excellent so I would recommend it highly. 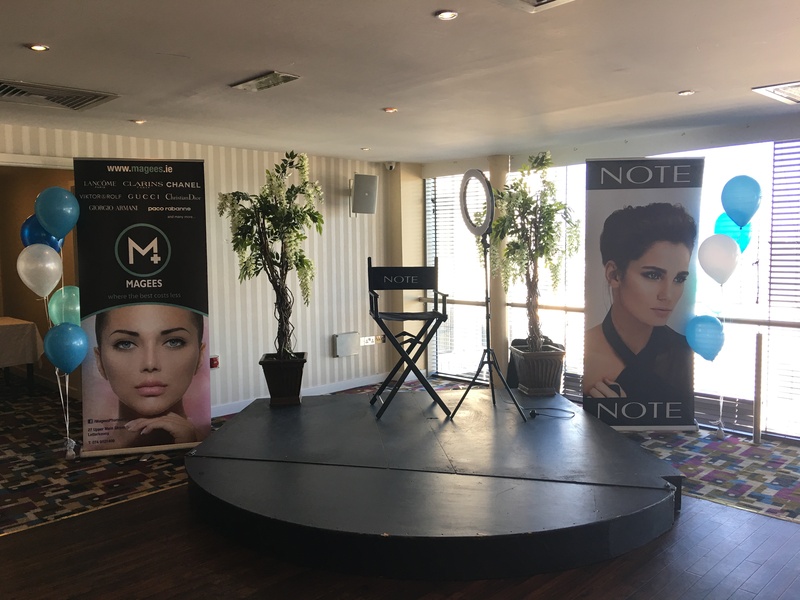 Note Cosmetics is a brand that is becoming more and more popular and although I haven’t tried it myself (yet) I have heard nothing but good reports. It is also quite reasonably priced and there is a large selection of products to choose from. 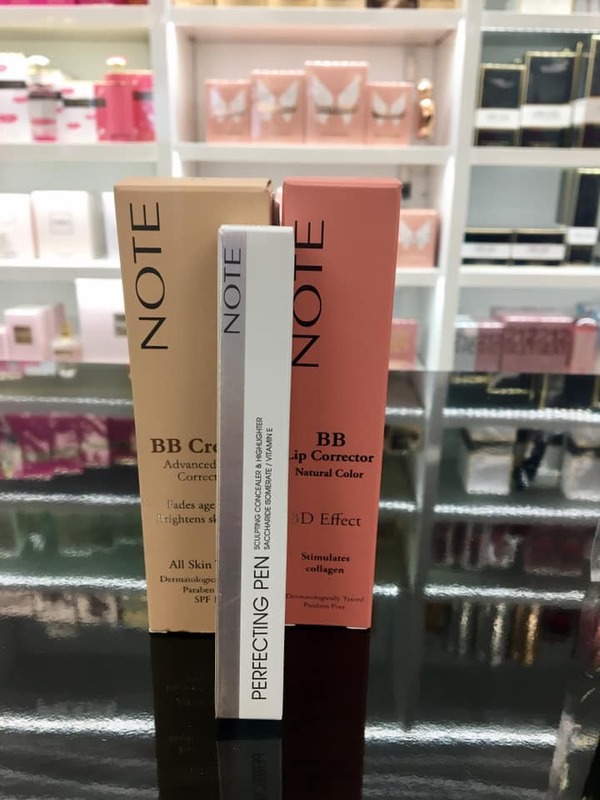 Included in this little bundle is the BB Cream, BB lip corrector and also a concealer/highlighter pen – perfect for the mum who loves her cosmetics! If you would like to buy your mum a brilliant, affordable hair care range this is the one! 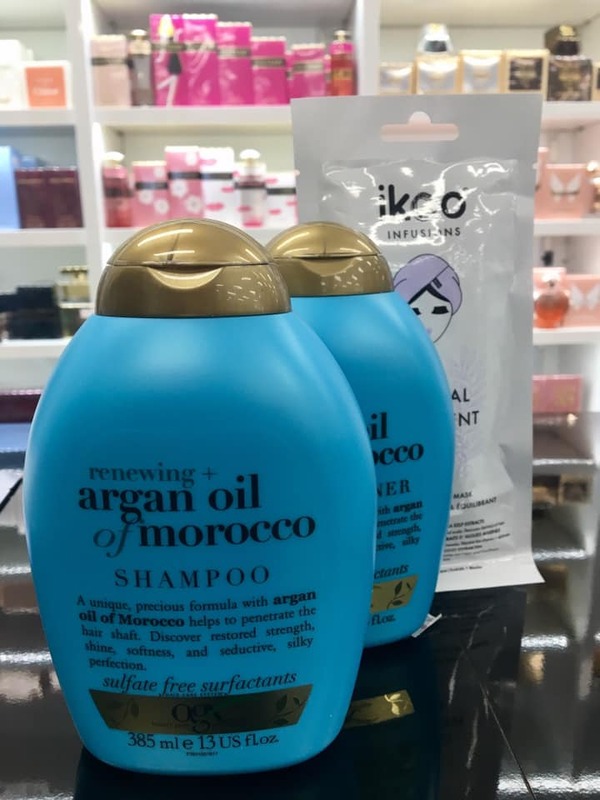 Argan Oil is one of the best ingredients you could use on your hair and included in this bundle is a conditioner, shampoo and hair mask so there is no reason for her not to have shiny, silky hair come Monday! A lovely little pamper package that would be amazing after a hot bath so if she isn’t into hair, tan or make-up products then this would be ideal. Her body and face will be glowing! 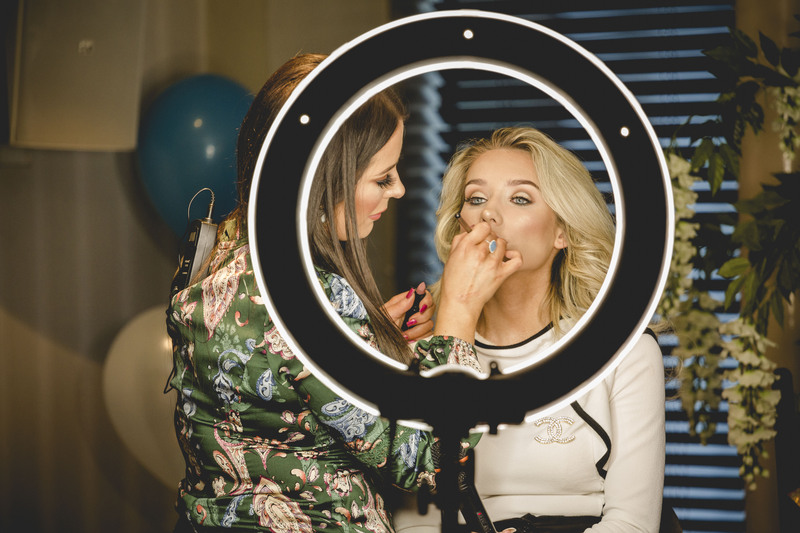 Call into Magees at any stage throughout the week or weekend and the girls will be more than happy to help. You can also create your own bundle with any of the products in store if you want to mix and match with different price points. Today I am back with a post for Valentines Day and it is a little fragrance inspo in case you are unsure what to buy. I have covered my top 4 ladies perfumes and didn’t forget about the men either! I have said this before in another blog but I go through perfume like no tomorrow – you would honestly think there was never going to be another bottle sold at the rate I spray it! I remember getting into a taxi once and the man said I nearly choked him with the amount I had on – so that will prove I am not over exaggerating haha! With that being said, it was difficult to narrow down my top favourites but I hope you enjoy the post and remember that there is also nothing wrong with buying yourself perfume on Valentines Day! My sister is the culprit for my love of Black Opium by YSL. It would be more of a luxury brand so if you know that she likes higher end perfumes, this would be a good choice. It has a very distinct, sweet scent and I personally love scents that are a little bit different. 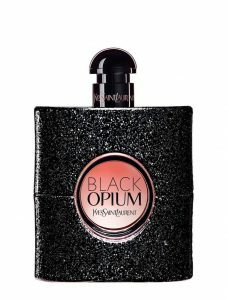 They become the signature smell for the person that is wearing it and any time I smell Black Opium, I instantly think of my sister. 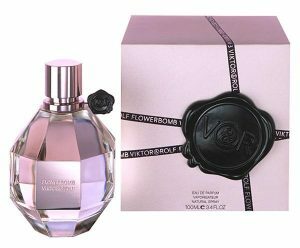 I have been using the Viktor & Rolf Flowerbomb for years and don’t think I will ever stop! My mum bought it to me for Christmas one year and I was hooked after that. The perfume is available as a set if you want to add in a little extra and it is also brilliant because it lasts on the skin for a very long time. I found that I didn’t have to wear the perfume when I was wearing the lotion so I actually got a longer usage period out of the set. Definitely one of the best presented perfumes! 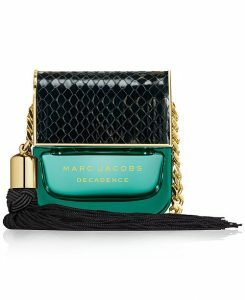 Marc Jacobs always goes that one step further whether it be perfume or handbags and I would describe this as a very light hearted scent that you could wear either day or night. The key notes in it are Nashi, Pear, Blackcurrant, Green Ivy, Pink Lily of the Valley, Magnolia, Jasmine, White Amber, Cashmere Woods and Raspberry Gloss. This only recently became one of my favourites but look at the packaging! Definitely for the girl who is fashion conscious or simply likes to decorate her dresser with photo worthy items. It would be quite a sweet scent but when settles, leaves a lovely undertone on your skin / clothes. Out of the 4 I have mentioned, this is definitely my no.1! There are so many options for men but I am going to stick with two of my favourites. 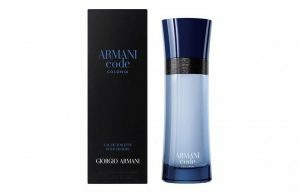 The Armani Code Colonia is a very stylish scent – it’s not too strong but still makes an impact and a little goes a long way. It is normally described as a very seductive scent so I will leave it up to you to decide that when you spray it! Last but by no means least is Coach for Men. I would describe this as energetic, confident and cool and it is known to have a New York attitude with an American authenticity. There is a slight sweet undertone and it is also available in a ladies version too if you want to be matching with your scents! Any of the perfumes I haven’t linked online can be found in Magees. Should you need any help, one of the girls will be able to assist you and there is also an extensive range available in store. 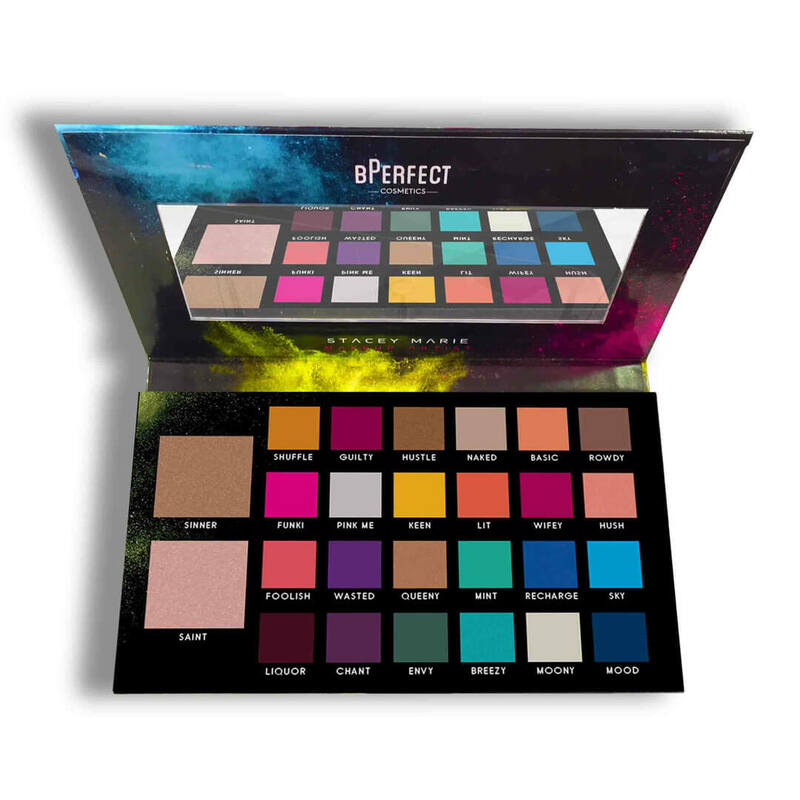 The B-perfect Stacey Marie Palette was like gold dust when it was released because everyone wanted to get their hands on it and I have heard nothing but amazing reviews. If you want to get really creative with your eye make-up or even experiment with some new colours that you haven’t tried before then this is for you. I would even purchase it for the darker shades as they look beautiful – I am very boring and stick to the same smokey eye all the time so I really admire people who are very adventurous with their creations! If you have been a long term follower or even just know me in general, then you will be very aware of the fact that I LOVE TAN!! I am very rarely non bronzed and feel so much better in what I am wearing when I have a little colour. I tried the SOSU dripping gold mousse a couple of weeks ago and really liked it. There are a couple of shades to choose from and it also wore off really well which is a big bonus! 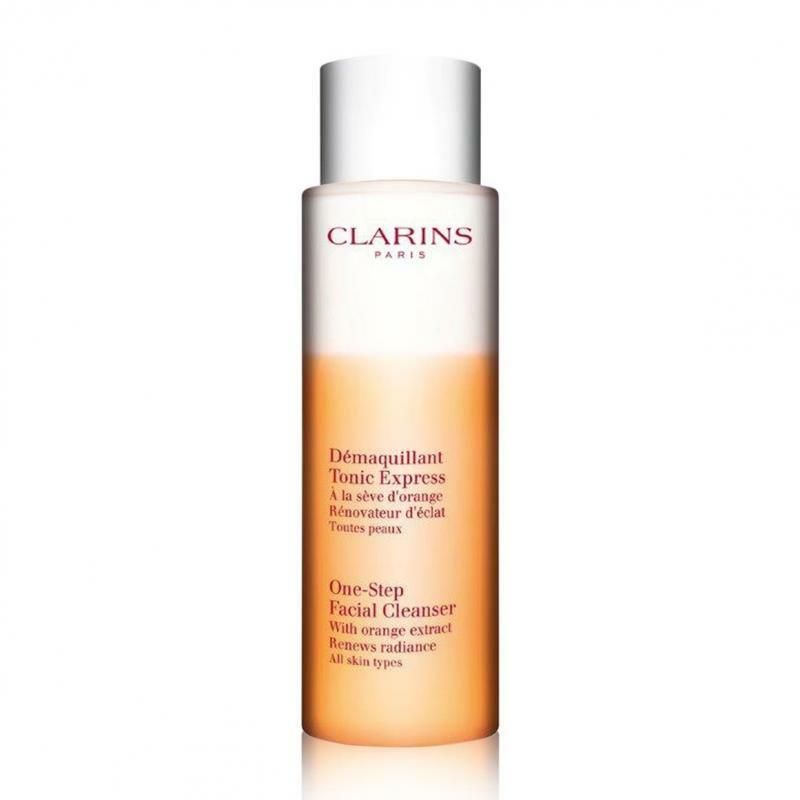 It was through my mum that I discovered the Clarins one step facial cleanser as she uses it every night and I have to say that it is brilliant for removing all types of make-up. Not to mention the smell is also amazing! Granted it will be a little more expensive to your high street brands but in my opinion anyway, it is definitely worth it. Blank Canvas is a brilliant brand for make-up brushes and the F20 pictured above is particularly good for applying foundation. I must pick up another one now that we are on the topic of it and the best part is that they are pretty reasonably priced and long lasting. 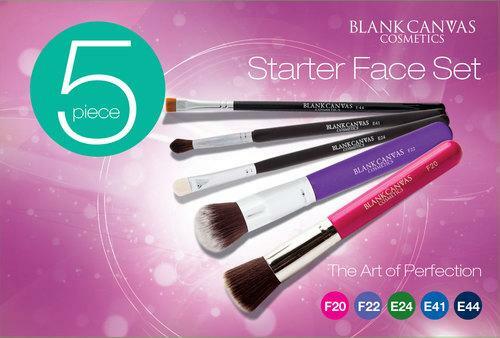 If you are a newbie to make-up brushes the starter face set would be perfect to get kick started. 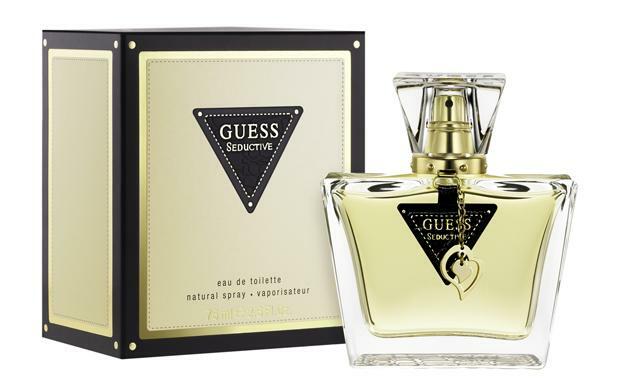 We all have a particular scent when it comes to perfume and I think I may have mentioned the Guess seductive in a previous blog post but in case you missed it, I have included it here too. Your perfume is the finishing touch to your outfit and this is one of my favourites if you haven’t smelled it before. 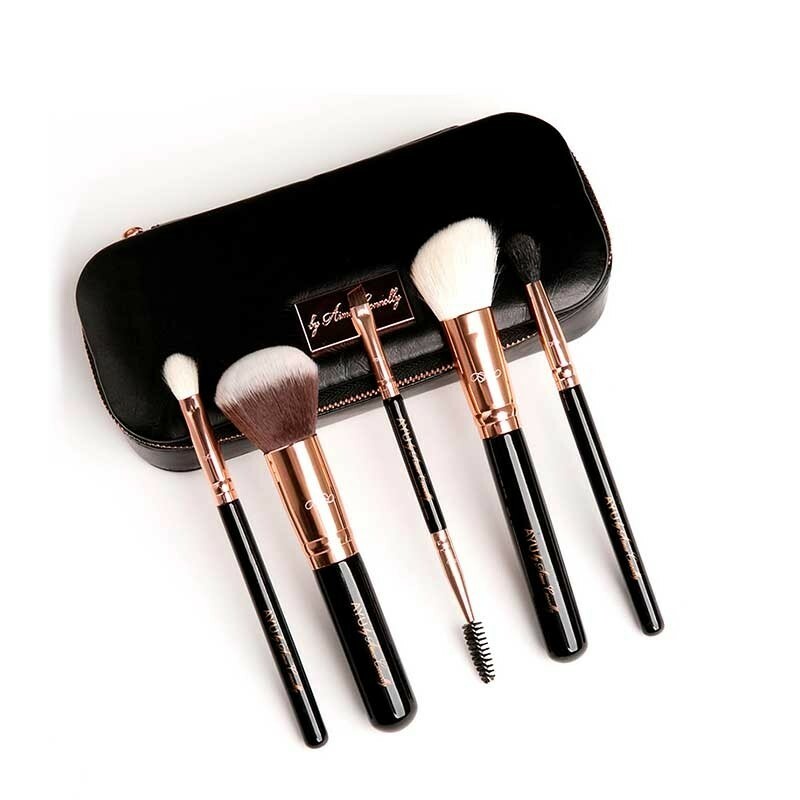 I have included the Aimee Connolly essential brush set as it looks great for your day to day make-up and could also be handy if you are just new to starting out with brushes. Not to mention the packaging is beautiful! 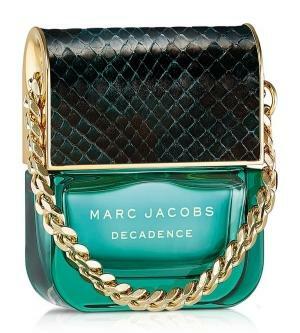 Another perfume favourite of mine is the Marc Jacobs decadence and not only for the smell but just look at the packaging! It looks so chic sitting on a dressing table. 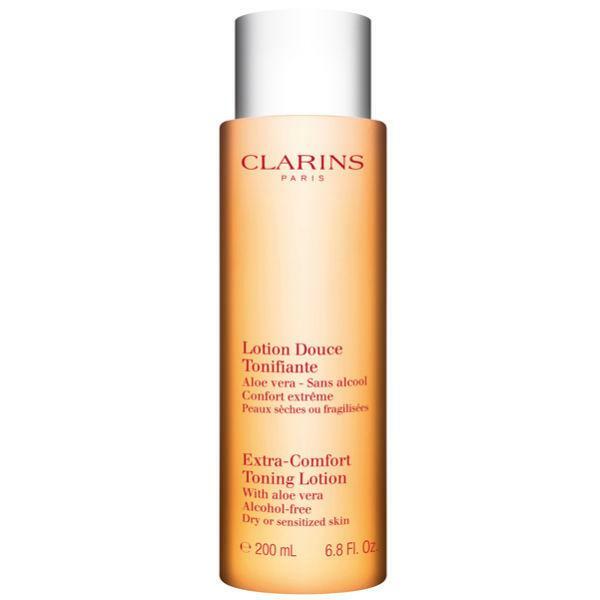 This is the Clarins extra comfort toning lotion – another product that I discovered through my mum! I hope she doesn’t read this and realises that I have been using them from time to time haha! Again, the smell of this is amazing – very spa like and it removed every last bit of make-up without leaving my skin feel really tight which can be the case with some toners. 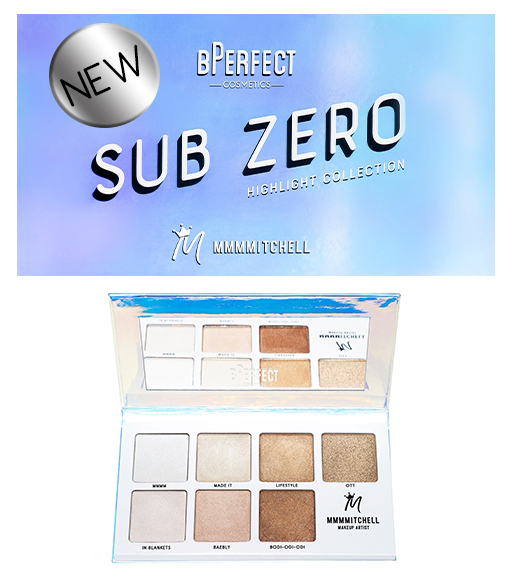 Another sell out product from B-perfect is their mmmmitchell sub zero palette. If you want to be spotted from mars with your highlighter then this is for you! The packaging is also really cool and it fits perfectly into your handbag if you want to have it on the go for top ups, although it is very pigmented so you probably won’t even need to! 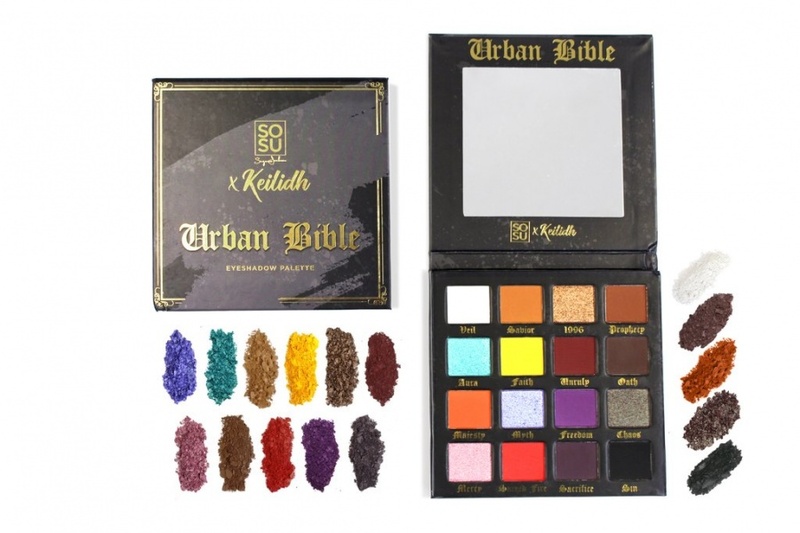 One of thee palettes of 2018 was the SOSU x Keilidh Urban Bible Palette and I can’t see it disappearing in 2019 either – look at those colours! I love that you have a mixture of dark, smokey colours along with vibrant, bright rainbow style shades so you can be as daring as you wish! See you all next month for a Valentines post! I can’t believe this is my last blog post before Christmas! How are you all getting on with your shopping? I will be honest and say that I haven’t even started mine yet – I keep buying everything for myself so #treatyoself might have to stop very soon haha. Below I have created my Christmas Wishlist and you’ll find everything from technology to make-up brushes. Magees have some amazing offers across the range, particularly for perfume and gift sets which is why I won’t go anywhere else. Don’t forget there is free ROI delivery on orders over €40 and also next day delivery for orders placed by 12 noon. The Ellie Kelly lipkits would make a great stocking filler and the red shade which is called “cheeky” is an amazing colour – definitely my favourite out of the 3! There is a high shine gloss that comes with the lipstick and I like to wear it on its’ own for days when I have minimal make-up on. 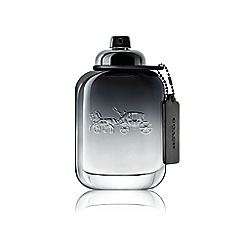 If you know someone who is a perfume fanatic like myself, I highly recommend the Giorgio Armani Si Passione! The smell is just incredible and it lingers on your clothes which is great as it means a little will go a long way. I remember my mum bought me Armani Code one year for Christmas and it’s still one of my favourites! 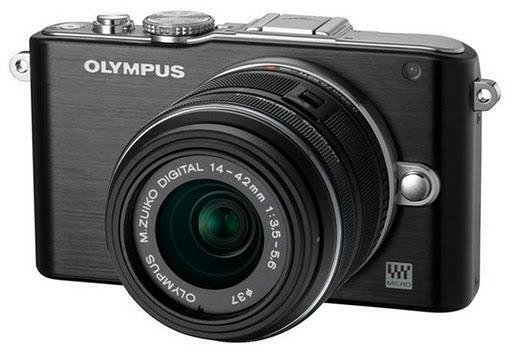 I really want to up my photography game this year for my blog and Instagram and think it’s time to just bite the bullet and buy the Olympus Pen because I have been looking at it for so long now (I’m talking approx 2 years!) I have heard so many people rant and rave about the brand and it’s nice and compact too which is very handy for travelling or popping in your handbag. Hands down one of my favourite perfumes that I never get sick of wearing is La Vie Est Belle. Although, I spray that much I tend to make those around me feel sick haha. 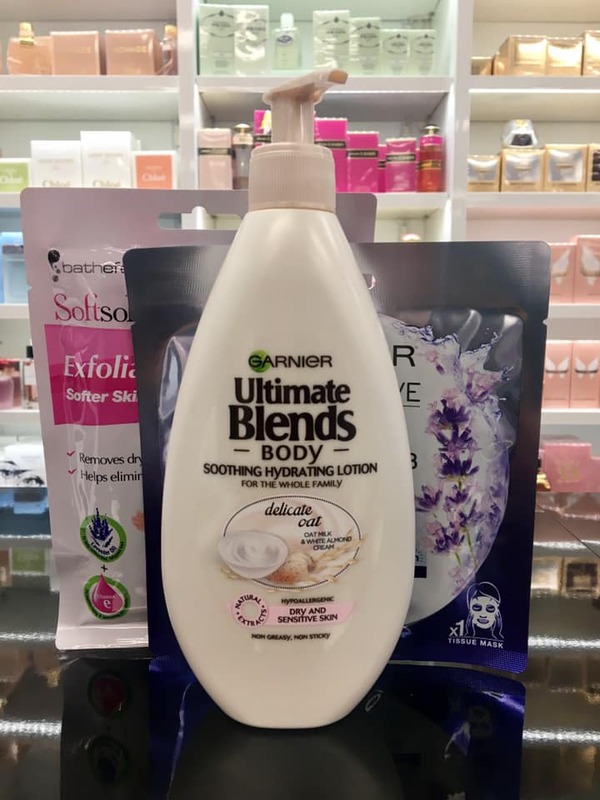 I actually received a set like this one Christmas and it was brilliant because you have your full sized perfume, a miniature one to pop in your handbag and then the fragranced body lotion which is amazing after a shower or bath. 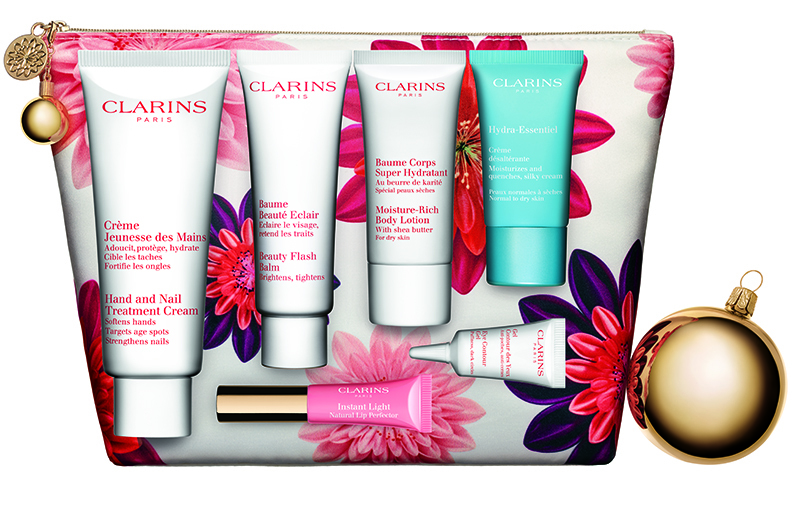 This Clarins weekend essentials gift set caught my eye as I loved the look of all the contents. It is an exclusive gift set that contains all of your essentials to hydrate, protect and boost radiance. 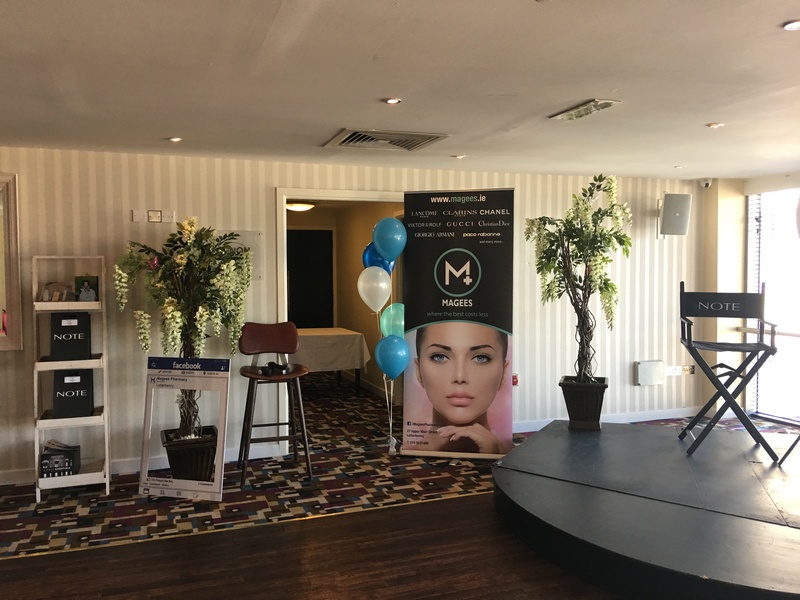 There’s the Hand & Nail Treatment Cream 100ml, Beauty Flash Balm 50ml, Moisture Rich Body Lotion 30ml, Hydra Essentiel Moisturiser 15ml, Hand & Nail Treatment Cream 30ml, Eye Contour Gel 3ml and Instant Light Lip Perfector. I also love when gift sets come in beautiful wash bags as you can re-use them time and time again. 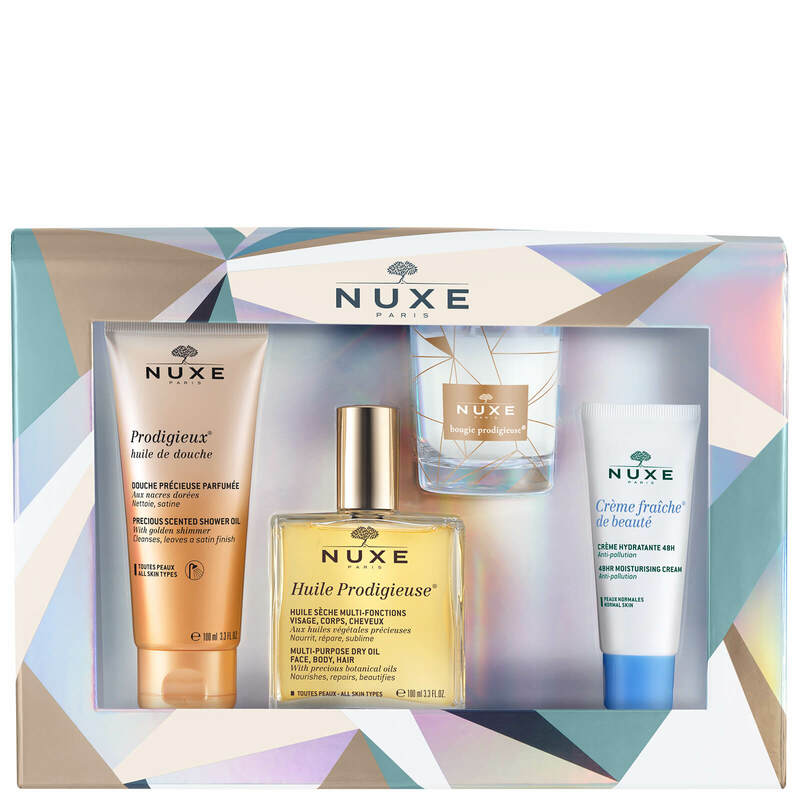 Nuxe is a brand that I have heard so much about and also spotted so many people using on Instagram. Not only do you get 3 products, but there is also a candle in the set aswell! The set is designed to give an at home spa experience which sounds as though it would be amazing after a long day! Another great stocking filler is the Blank Canvas f20 kabuki brush. This is amazing for applying foundation and it has been named as one of the best foundation brushes on the market. It is very reasonably priced and any time I have bought one, I always got a lot of usage out of it. Wishing you all a magical Christmas filled with fun, food, sips, health and happiness! Hope all is well. Is anyone else excited by the fact that now Halloween is over, we can begin to mention the C word?! The one thing I have started to do is party dress shopping – I am not even sure where I plan on wearing so many outfits but isn’t it better to be safe than sorry! 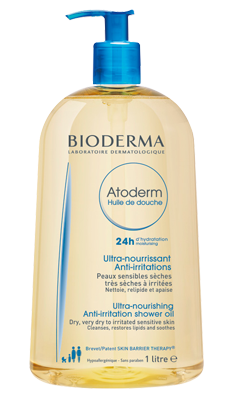 For my blog post this month, I was excited to be trying out the BIODERMA range. I heard a lot of people talking about the brand on social media and my sister also told me that she loves their micellar water so I had high hopes that thankfully did not disappoint. 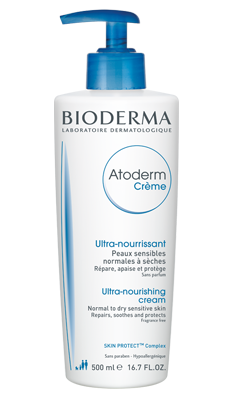 First up is the Atoderm Creme which is for normal to dry / sensitive skin. It is an ultra nourishing creme and I can hands down say I have never tried a more softer or creamier moisturiser! I wouldn’t suffer with too much dryness but the sides of my face have been quite bad over the last while due to putting tan on my face and this product definitely helped. My sister also has a little bit of dermatitis on her face and it did not irritate it at all. When I was doing some research I discovered that it is optimised if you apply it on lightly moistened skin after a bath or shower. 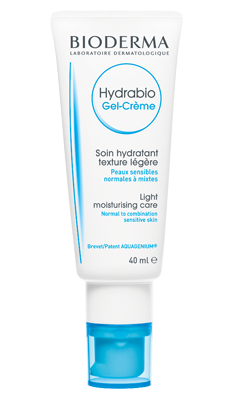 Next up is the Hydrablo Gel Creme – a lot lighter than the previous cream and is for normal to combination skin which is what I have. The 3 things this product does is generates hydration, gives a radiance to the skin (which I definitely noticed) and the Vitamin E helps to protect the skin against oxidative stress which combats premature ageing. There are also 2 different shower gels in the range. One is anti irritation which is designed for dry, very dry or irritated, sensitive skin which would be great for those of you that are prone to skin conditions and the other is an ultra gentle formula which would be more suited to normal skin. For those of you that are lucky enough to be heading away on a sun holiday, the one thing we always pack is sun cream. 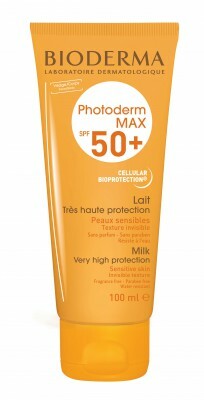 The Photoderm Max has an SPF of 50 + and because of that, it is designed for very sensitive skin – in particular those who would be very fair with freckles (the majority of the Irish population haha!) If the skin is going to be exposed to very high temperatures of sun, then this is the product for you. 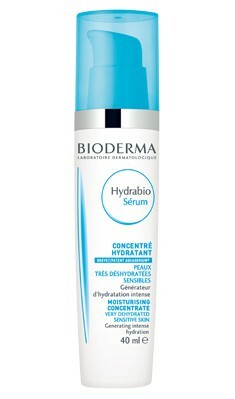 The Hydrablo Serum is designed for very dehydrated or sensitive skin and like I said above, my face is definitely very dry at the minute which is why I got on great with this. 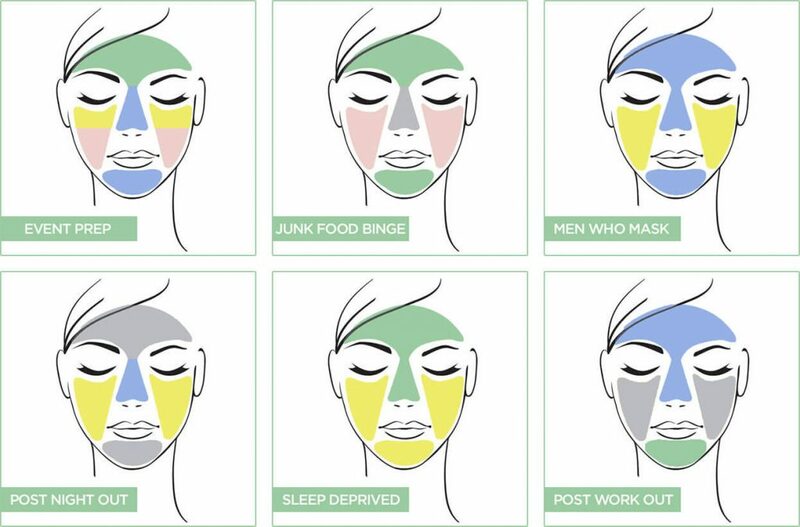 We all have busy lives and between one thing and another, the skin can become very dull after a while if we don’t look after it properly. There is a really nice, fresh smell to it and I apply the product directly after I have cleansed at night so I know that it can work magic whilst I sleep! It leaves a nice glow and I am all about the glow! Last but by no means least is the make-up removing micellar water. 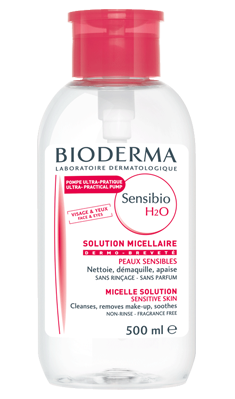 Now, I have tried micellar waters in the past and they did not agree with my skin at all as they were very harsh. 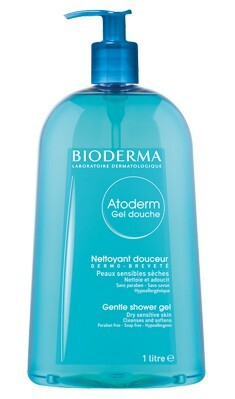 The Bioderma one was very gentle on the skin yet it still took off all my make-up. I simply put some of the solution on a cotton pad, rub it into my face and then see the white cotton pad turn from white to brown! The bottle size is very generous too so it will last you a long time. 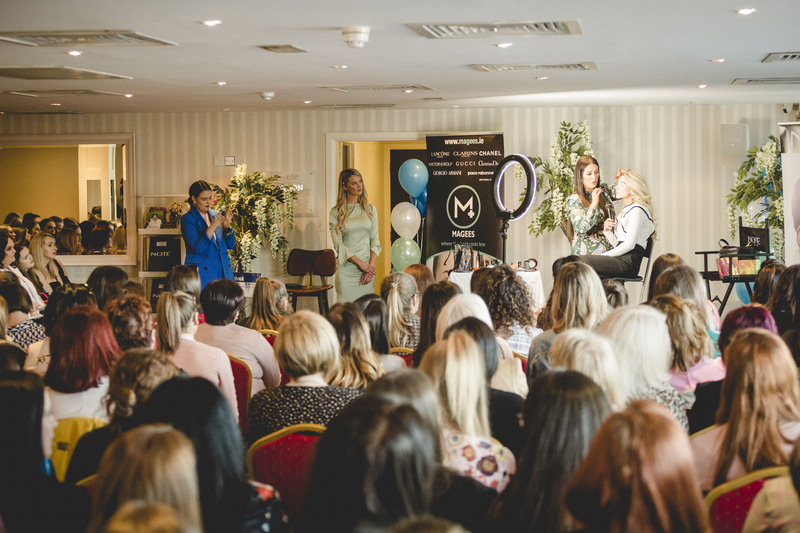 I hope you have enjoyed this post and the girls in Magee’s will be able to help you out in store if you have any questions on the products – the full range is now available to buy. Today I am back with a skincare post. 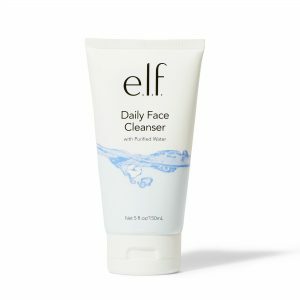 Some of you may have already heard of the brand Elf Cosmetics and if you haven’t, then hopefully you will try a few of the products after this post. The one thing I love is that it’s SO affordable and there’s a great variety to choose from. I had first come across the brand online and was delighted to see that Magees are stockists of it. 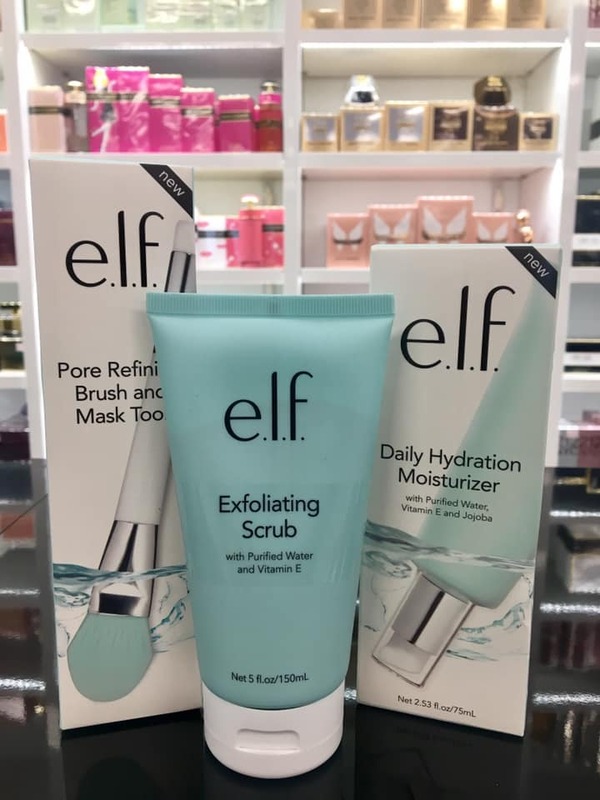 I tend to stick to the same products over and over, especially if I get on well with them and that’s what happened with Elf. You may think that because of the low price point, the quality of the products is jeopardised but I did not find that the case whatsoever. I’ll be introducing you to the Illuminating eye cream, Exfoliating Scrub, Daily Face Cleanser and Hydrating Bubble Mask. A cleanser is part of nearly every skincare routine and this one was brilliant. It took off all my make-up and left my skin feeling really clean and fresh. Also a brilliant price point – between €4 & €5 as far as I can remember. Now that I’m 26, I know that an eye cream needs to be part and parcel of my everyday/night routine. I wasn’t prepared (just yet) to fork out a lot of money on a product in case it didn’t work so I said that I would start off small and go from there. 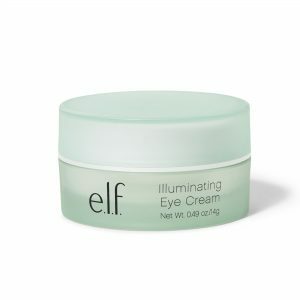 I have to say that I was pleasantly surprised with the Illuminating Eye Cream. It claims to get rid of dark circles and although I don’t suffer with them, I definitely noticed my eye area to be a lot brighter and hydrated. Jojoba, vitamin E, and cucumber are some of the ingredients in the cream and all products are free from Parabens, Sulfates, and Phthalates. 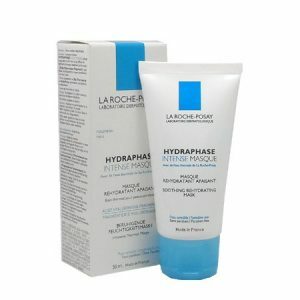 I have combination skin that tends to get quite dry from time to time so I was looking forward to trying something hydrating and hoping that it worked – thankfully it did. It is a gel like texture that turns into little bubbles when you massage it into the skin and I left it to sit for approx 10 mins. After this I took it off with my face cloth and my skin felt really soft, clean and hydrated. It also smelled really nice – would definitely recommend. Being honest, the one part of my skincare that I have neglected over the last few months is using a scrub and it is so important for getting rid of any dead skin cells. I have tried to get into habit of using it once a week and I am slowly but surely getting back into routine again! 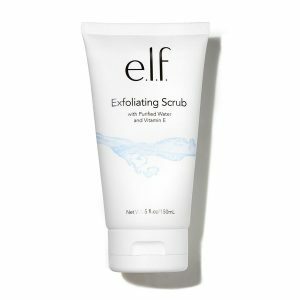 This gentle exfoliating scrub helps polish away dead skin cells for healthy, glowing looking skin. I definitely felt that my skin was a lot smoother, brighter and thankfully not tight as some scrubs have a tendency to make your skin feel like that. All in all I have to say that I really like the brand and will continue to use it for the foreseeable future. All products are available in store at Magees and make sure to let me know if you decide to try any of the products! Hope you are all well and enjoying the transition into Autumn/Winter. I was just saying in my latest column with the Letterkenny Leader that I am so excited this season has finally arrived! I know a lot of people prefer the summer months but I just love the idea of cosy knits, boots and lots of layers! With that in mind, I thought I would cover A/W fragrances for this months blog post. Does anyone else slightly change their fragrance? I prefer to go for something that has a musky undertone as I tend to stick to quite sweet scents throughout the summer months. I have included my top 5 favourites below with a brief description on each but I am sure many of you will have heard of them already. The Caroline Herrera perfume is one that I only came across recently when I was browsing in Magees and I loved the smell of it instantly – not to mention the bottle is very eye catching and would look fab on any dressing table. The best way to describe this perfume is an oriental scent and also very strong so if that sounds like you, definitely pop in and have a little tester. I am a big fan of Lancome perfumes and absolutely LOVE La Vie Est Belle. 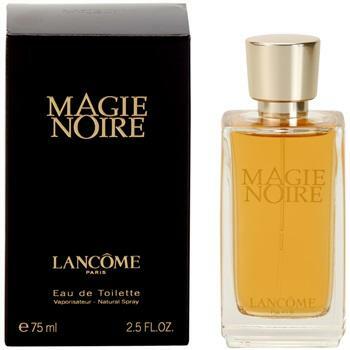 I heard a few people mention the Magie Noire and thought I would give it a spray – I didn’t find it to be as sweet as the La Vie Est Belle which is what I like as I tend to keep it for the summer months. Similar to Caroline Herrera that I mentioned above, I would describe it as an oriental scent as you can always be guaranteed with Lancome perfumes that they will last throughout the day/night. 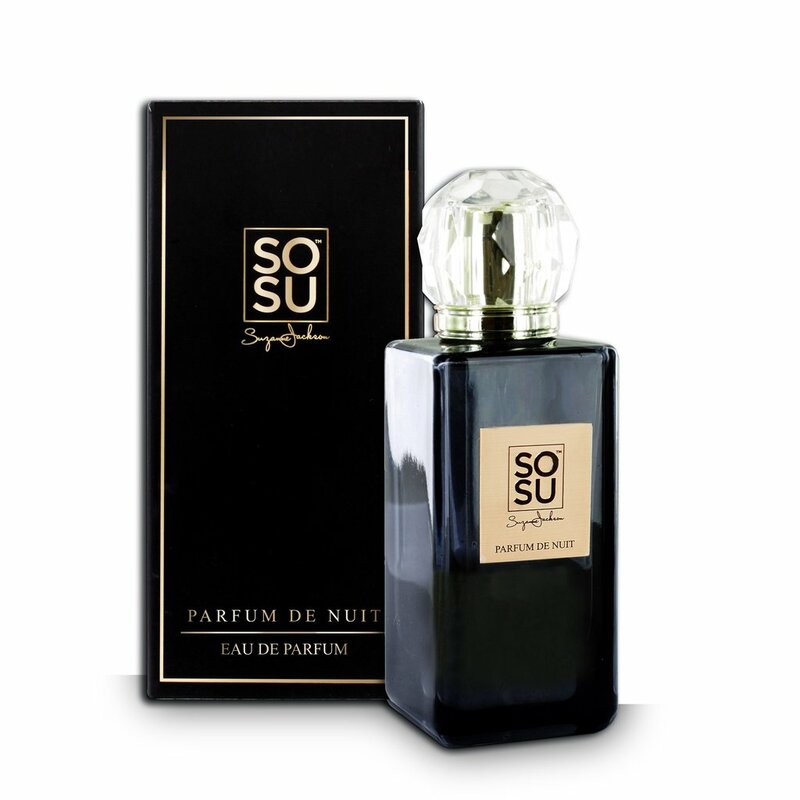 The SoSu Parfum De Nuit is probably the most Autumnal fragrance out of the 5 I have listed here and if you like a strong scent, then you will love this! The packaging is very luxurious and it lingers on your clothes which is what I love. As it contains a mixture of woody and spice undertones, it is suitable for either men or women and it is definitely one of my top faves! 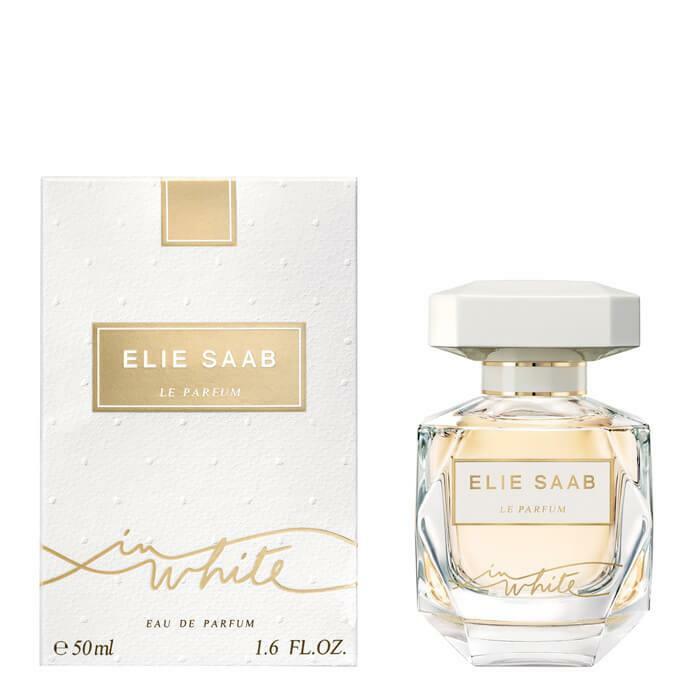 The Elie Saab Le Parfum is a beautiful fruity scent that also has undertones of white musk which is why I like to use it in the A/W. In saying that I must actually go and purchase another bottle myself! If you don’t like anything too strong, then this is perfect as it is a very soft scent. I have been wearing Jean Paul Gaultier for years – I think everyone has at least one perfume they always go back to and this is mine. Although it has quite a floral undertone, it isn’t too overpowering as there are also hints of vanilla and ginger. I am the world’s worst for spraying half a bottle of perfume and then choking anyone that comes in contact with me, so one of the best things about this perfume is that a little goes a long way! All are available to purchase either in store or online and the link is included for each if you just click on the perfume name. Let me know if any of these are your favourites too and I shall talk to you all very soon! Clarins is a brand I have never tried before so I was looking forward to seeing what the products were like. 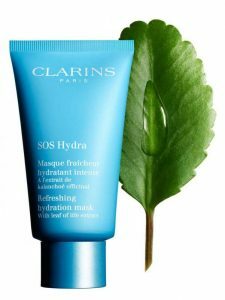 I tried the Hydra-Essentiel moisturising reviving eye mask and the SOS Hydra refreshing hydration mask. Used together, they are a dream, especially if you suffer with tired, dull skin that needs a bit of vavavoom in injected back into it! The eye mask I found to be particularly good. My sleep pattern is all over the place at the minute and as a result, I have bags under my eyes. I noticed they were a lot brighter after using the mask and also felt really refreshed and hydrated. You can leave it on for 10 minutes or overnight which is what I did as you can be guaranteed maximum results then. 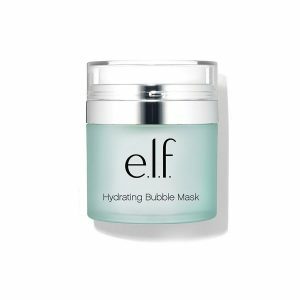 The face mask has a gorgeous fresh scent and cream/gel like texture meaning it is very easy to apply. I found it really moisturising and luxurious and there was a certain plumpness to my skin after I had removed it and moisturised. My make-up also sat a lot better on my skin and out of all 5 products, this would be my favourite. 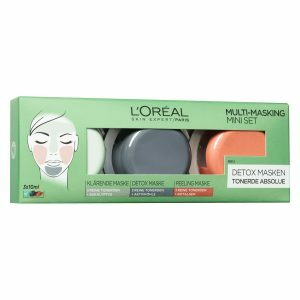 I’m sure many of you have heard of the L’Oreal Pure Clay Masks and they are brilliant because you can essentially have 3 masks on at the one time to work on different areas of your face! There’s the green mask which is for purity, the black mask for detox and the red mask for a glow – my favourite one! 🙂 With the 3 combined, you have a deep cleansing mask that works right into the pores and that is just what my skin needed! I loved the creamy texture of each mask and used a foundation brush to evenly spread each one across my face. I was worried my skin would be a little dry after but it was the total opposite – it felt really clean and bright. Above you will see a few suggestions as to how you can use them for different situations and it can be used up to 3 times a week – just make sure to only apply a light layer to the skin. They retail at just €6.70 for the 3 in the mini play kit. I definitely suggest to pre-warn anyone that lives with you that you are putting on a black sheet around your face as you will give them the fright of their lives when they see you – it does provide a bit of entertainment all the same! 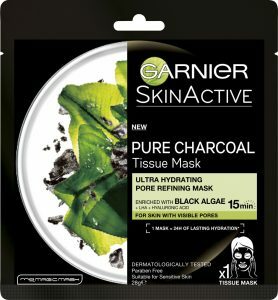 The Garnier pure charcoal black tissue mask is primarily for purifying and hydrating but also mattifying and it is for this reason I think it would be best suited to those with oily skin. Charcoal is an ingredient mainly used for absorption purposes but in saying that I definitely did notice my skin to be a lot clearer after using it. There was nice glow underneath my make-up and my t-zone wasn’t as shiny as normal. I hope you enjoyed this post and don’t forget to pop into the customer appreciation day tomorrow where Magee’s are celebrating 90 years in business and the opening of their new extension. There will be a dj, discounts and giveaways on the day so if you’re around between 11am & 3pm, nab yourself a face mask! Top 5 handbag beauty essentials! I looked at the list of potential posts we could do for this blog and decided to go with top 5 handbag beauty essentials as I think it is something that all ladies can relate to. Personally, I know that I cannot leave the house without my make-up bag. 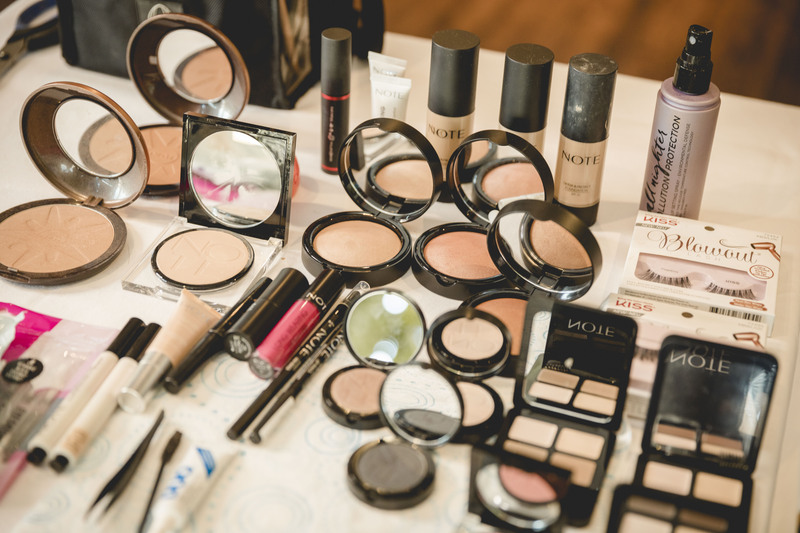 When I am out and about, it tends to be long days and I like to know that I have a few go to items in my make-up, should I need them. Everyone will be different in terms of what they like to use on a daily basis so I have included the products I can’t live without and hopefully you find something new! It might seem a bit obvious starting with this but the one thing I definitely cannot leave the house without is deodorant! I normally use either Dove or the Nuxe body stick pictured above. What I like is the fact it doesn’t leave any white marks on your clothes and it also smells lovely. As I wear tan all year round, my hands tend to get quite dry and that is why I always carry a little hand cream in my bag. I also like to apply it every night before I go to bed. 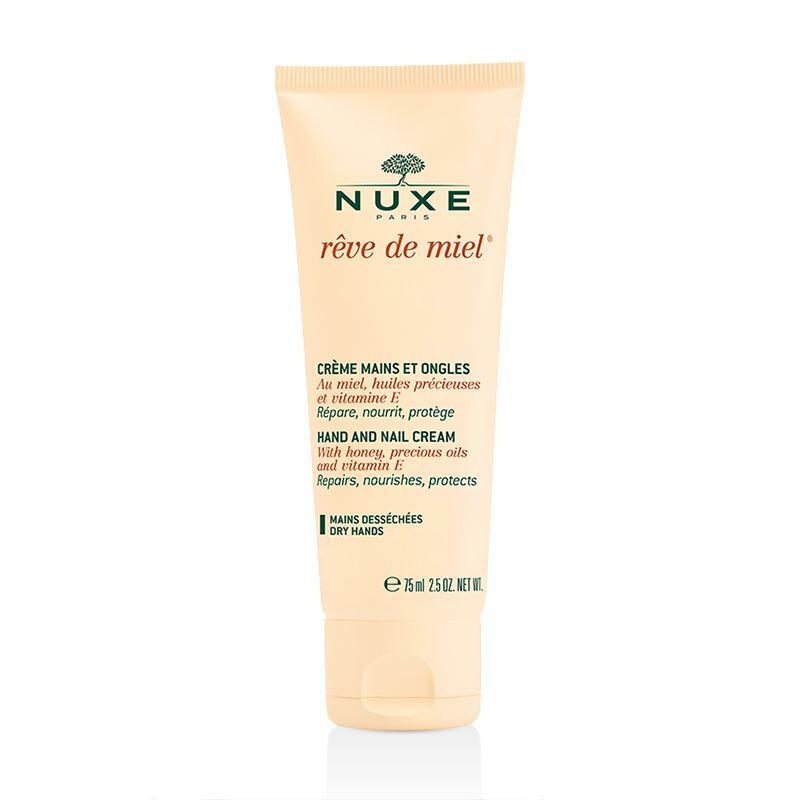 This cream from Nuxe smells AMAZING! Once any product smells nice, I am sold!  It’s non greasy and always leaves my hands feeling really soft so that’s why I love it. 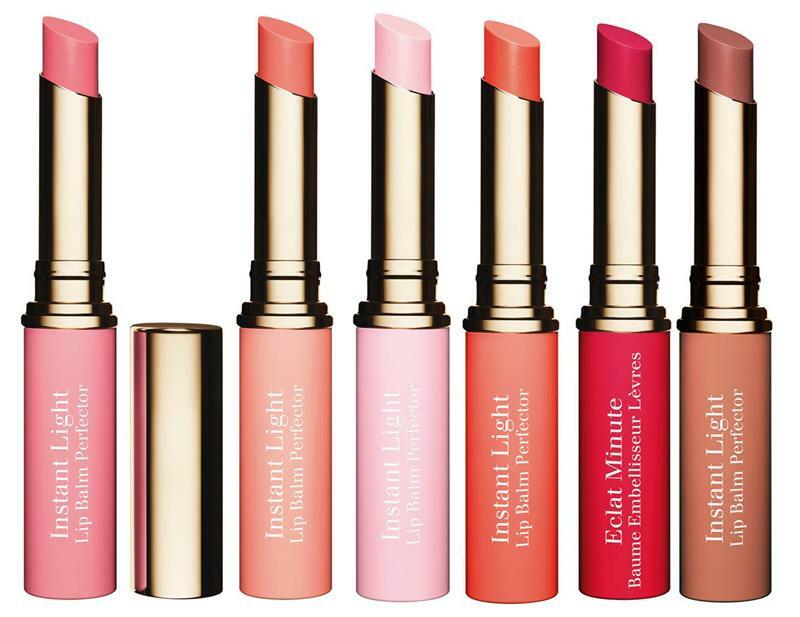 I’m sure many of you have heard of the Clarins Instant Light lip balms before, but if you haven’t, they are brilliant. A little bit more expensive compared to your normal lip balm but I find Clarins to be a great brand and that’s why I don’t mind spending a little extra – they also last a long time so you are getting value for money. I like the fact they also add a little colour/high shine to your lips and there is a wide selection of colours available as you can see above. I am a huge fan of perfume. I go through it like no tomorrow and that is probably due to the fact that I also spray it like no tomorrow! The GUESS Seductive is one of my favourites as I like quite a sweet scent. 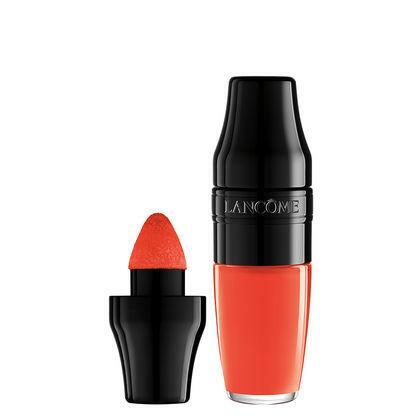 Have any of you tried the Lancôme Matte Shaker Liquid lipsticks? They are brilliant! Normally I like to go for a little bit of a shine on my lips but when it comes to lipstick, I always go for a matte look. A few matte lippie’s can be quite drying on the lips but I found these to be perfect throughout the day and thankfully my lips didn’t have that chapped look! Really handy for throwing in your bag as they are so tiny. It’s said that you’re never fully dressed without a smile and although I do believe that to be true, I also say that a slick of lippie never a goes a miss either  Enjoy the weekend! Izzy on Festival Hair and Beauty Tips! !